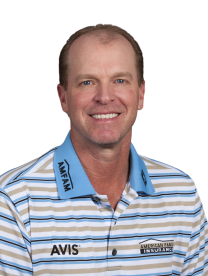 The 51-year-old Stricker birdied three of the first four holes and offset bogeys on 13 and 18 with birdies on 15 and 16. He shared the lead after each of the first two rounds. "I came out feeling really good, really comfortable," Stricker said. "Hit two really good shots and really played the first five, six, seven holes really solidly. Then once you get that lead, it's like a different mentality sets in. You're trying not to make a mistake. It gets a little bit harder to play. I did my best. I was just trying to make pars and keep moving along, so it was good to hang on." Tim Petrovic (65) and Jerry Smith (70) tied for second.